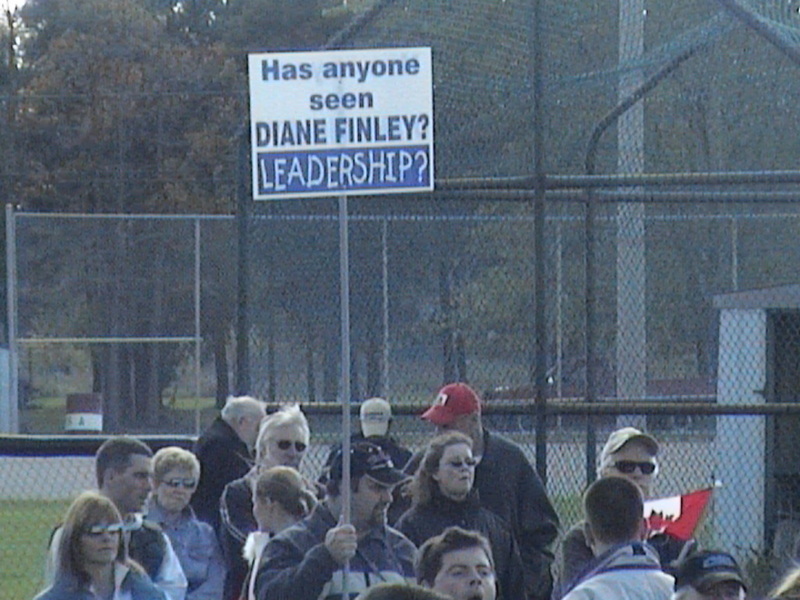 Diane Finley is the wife of Senator Doug Finley who happens to be one of Stephen Harper’s closest advisors. 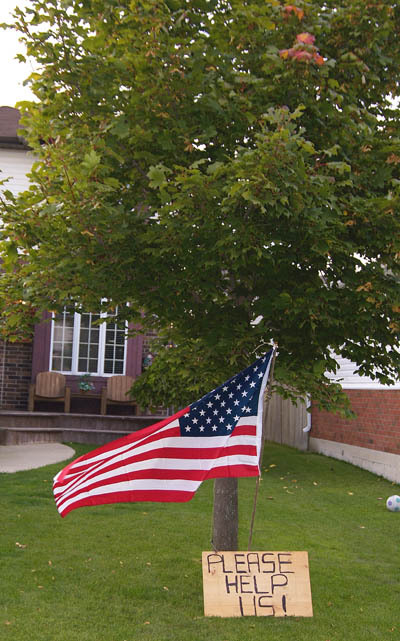 Signing the petition is about the only positive contribution she and the federal Conservatives ever made with respect to putting an end to Fantino’s outrageous policing practices in Caledonia and Haldimand County. 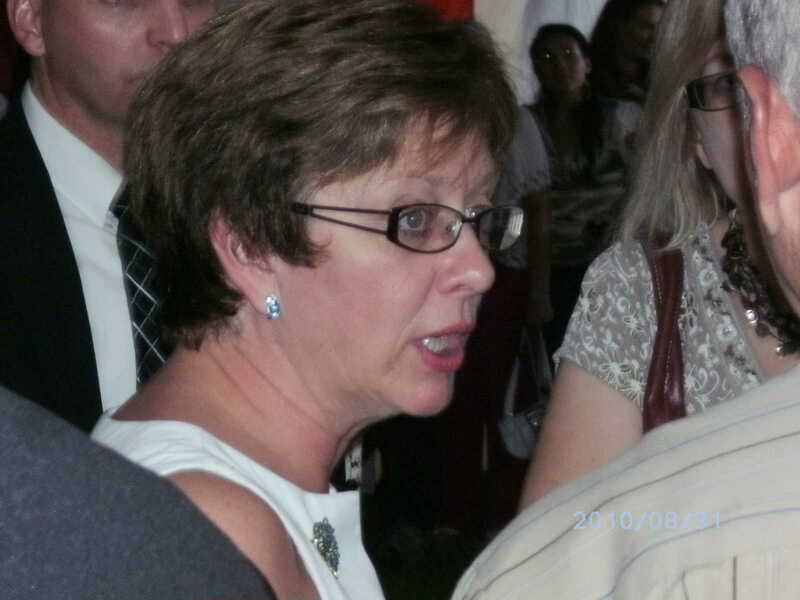 According to the two Dunnville Chronicle articles Diane Finley evaded answering reporters’ questions about whether or not she had signed the petition, but the other reports confirm it, and Caledonia resident Merlyn Kinrade witnessed her signing it at MPP Toby Barrett’s New Year’s levee. While I was grateful at the time to Diane Finley for signing the petition I must join Mr. Oliphant and Ms. Minna in wondering why the Conservative Party of Canada sat otherwise quiet all this time given her knowledge of the pain her constituents were feeling at the hands of Fantino’s racist policing policies, and why Harper annointed him for the riding of Vaughan – despite the party being warned to wait for Christie Blatchford’s book Helpless to hit bookshelves first. 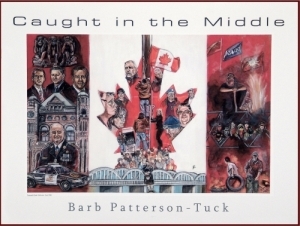 Barb Patterson-Tuck’s ‘Caught in the Middle‘ portrays Stephen Harper as one of the ‘Hear No Evil, See No Evil, Speak No Evil’ monkeys in her award-winning portrayal of the Caledonia crisis – 2 years before he welcomes Julian Fantino (shown as one of Caledonia’s tormenters on the left side of the ‘flag’) as the party’s candidate in Vaughan. 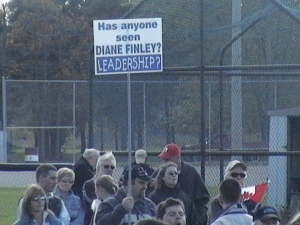 It seems deliciously fitting that it is Stephen Harper and Diane Finley who are now ‘Caught in the Middle’ instead of the people their party abandoned, and then slapped in the face with their Fantino nomination.